This sleek professional pencil brush lets you blend your lines perfectly. 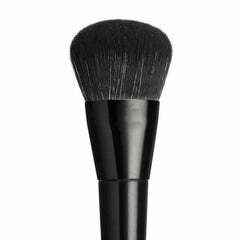 You may use this brush on your water line, lips and even your upper and lower lash line. It’s made with cruelty-free vegan bristles, offering a heavenly treat for makeup lovers with animal hair allergies and wildlife supporters. 18.7cm full length. Bristles - 7mm high, and 4mm wide.